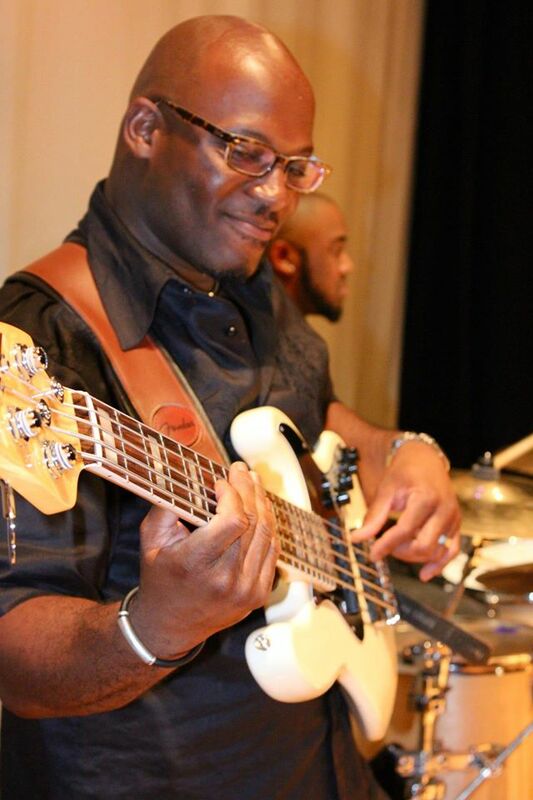 Rico Cobin is a talented, lefty bassist out of Charleston SC. This self-taught artist got his start in the quartet gospel scene. He still continues to play quartet, but has expanded his repertoire to include: Neo-soul, R&B, and Smooth Jazz. This has afforded Rico the opportunity to perform on two European tours. He has also held down the groove, on stage, as well as the studio, for several national and local recording acts. Such as: The Tony Washington Singers, Pastor H.E. Dixon & Truth Tabernacle, Ronald Ferguson & Chosen, The Gospel Inspirations and Simply Blessed. He can also be seen playing smooth jazz as part of the YSE (Your Signature Events) house band, Perfect Blend. Rico is currently devoting his time to a new project. He is one of the founding members of a new band, Pristine. Pristine embraces Neo-soul and R&B music with soulful vocals.